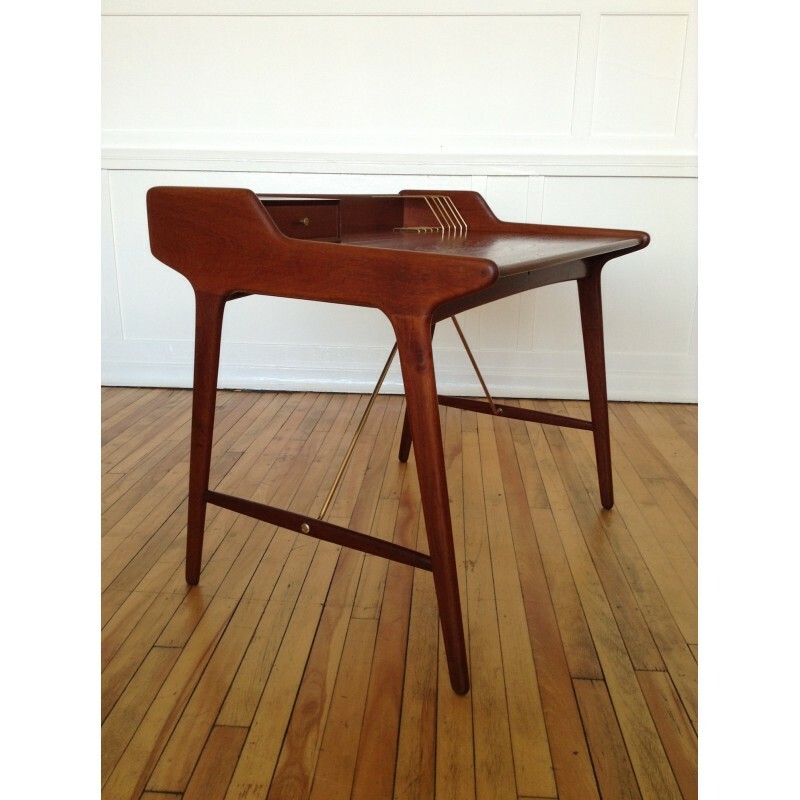 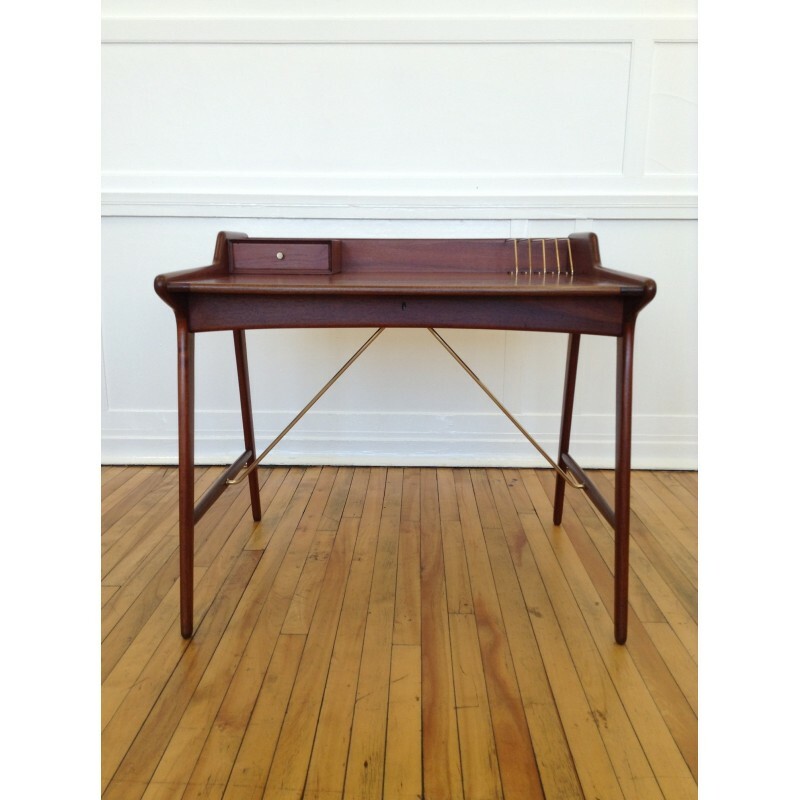 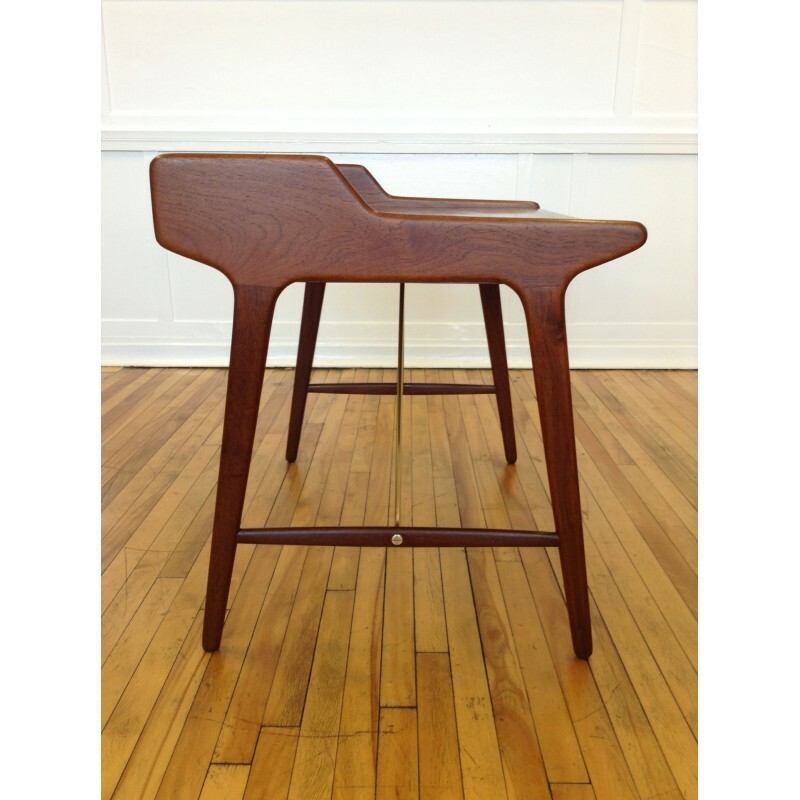 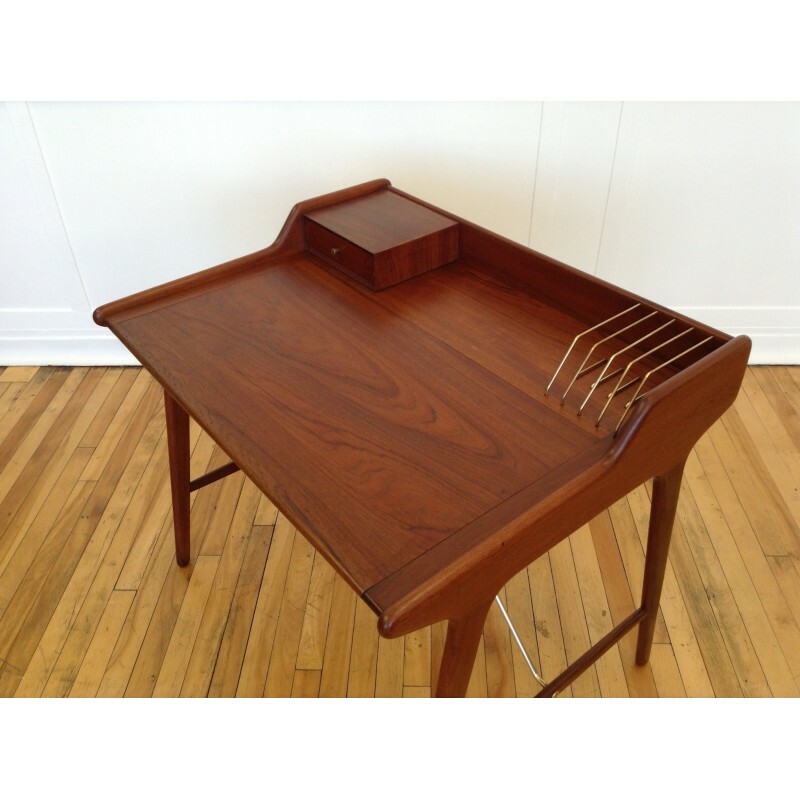 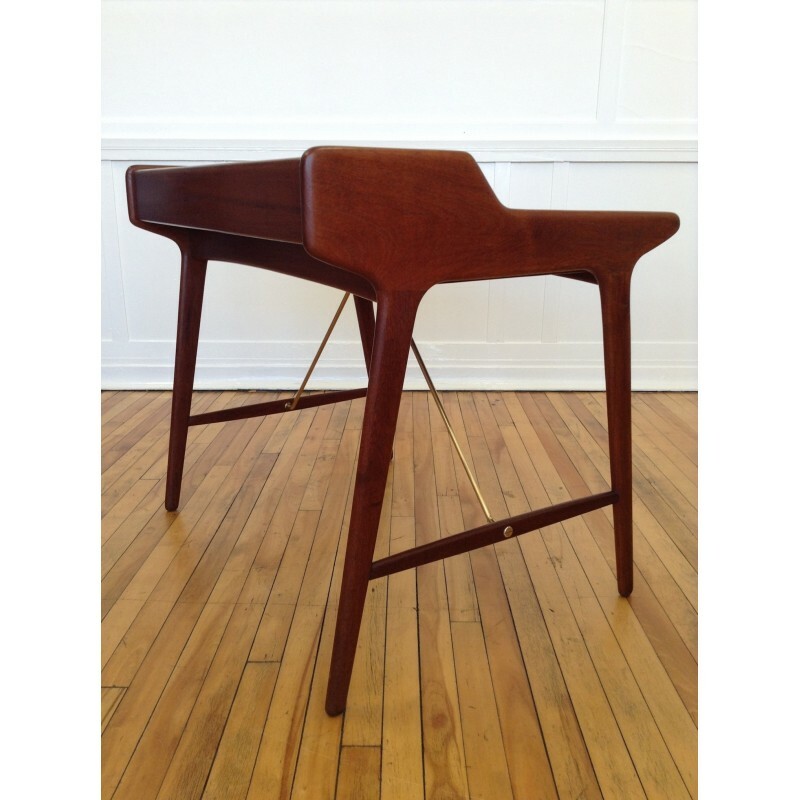 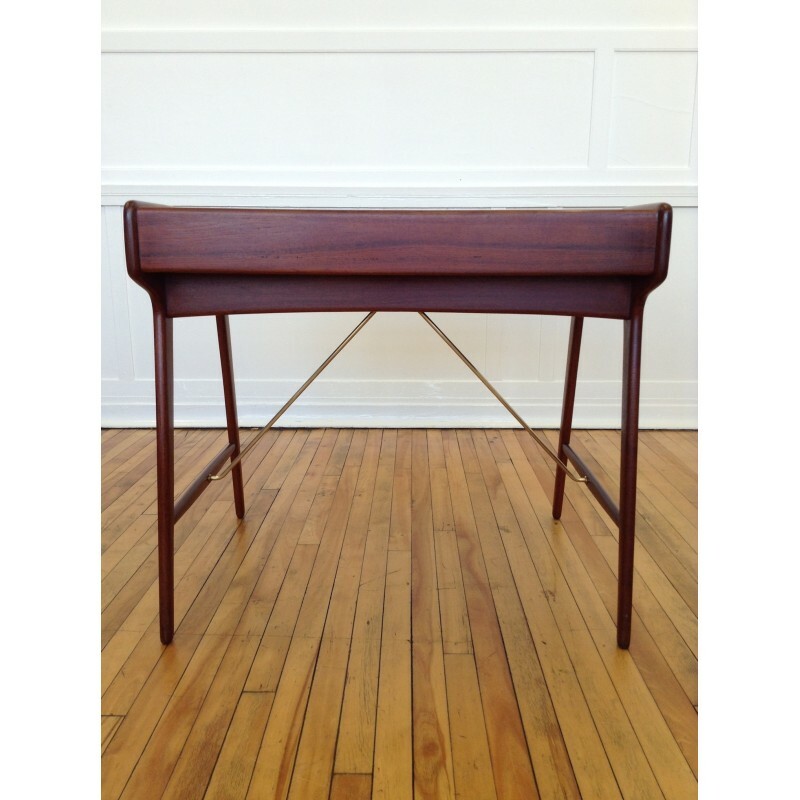 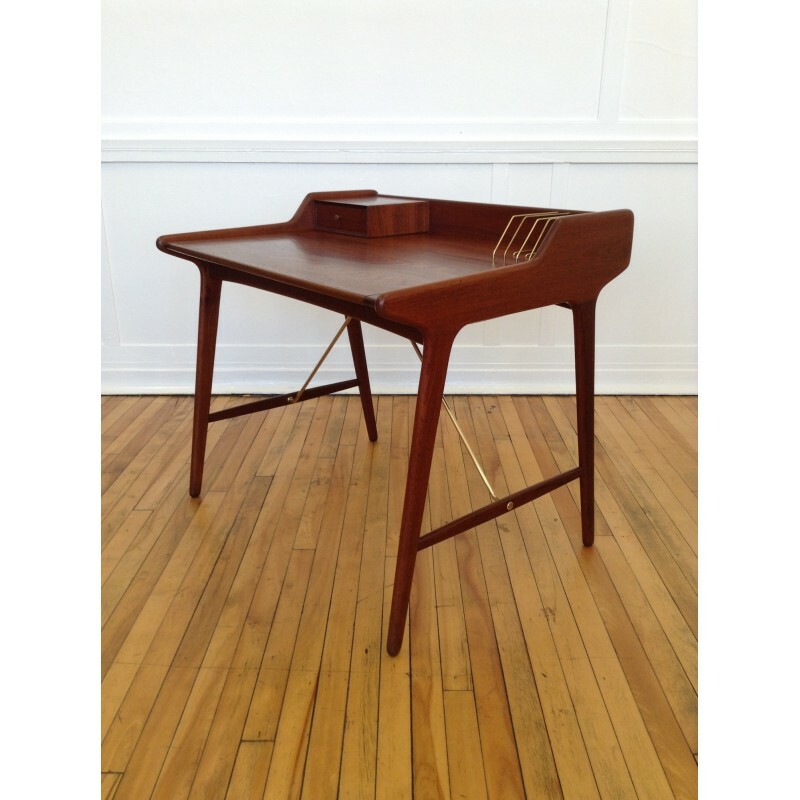 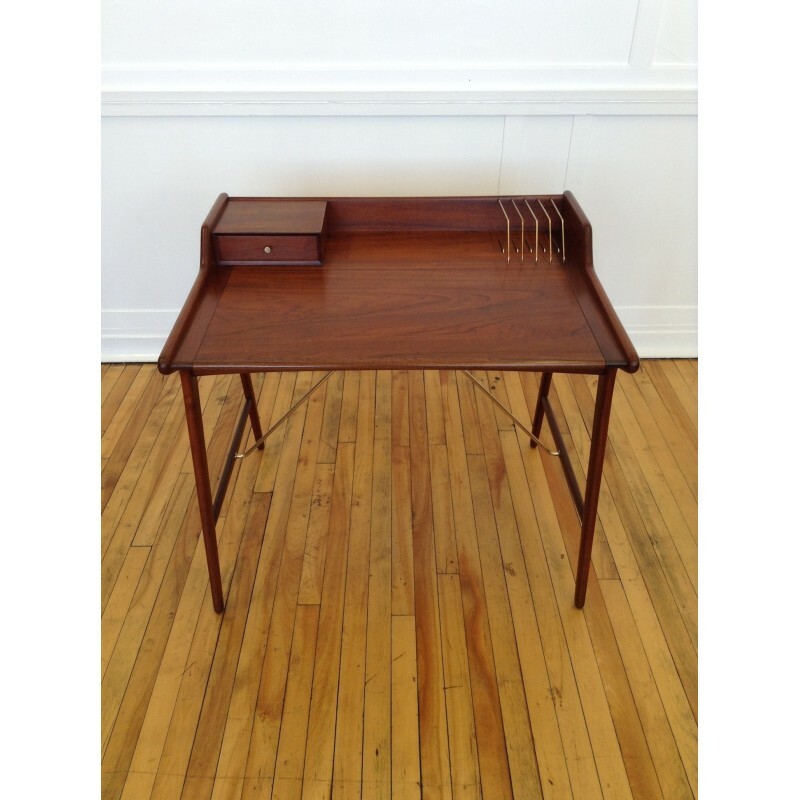 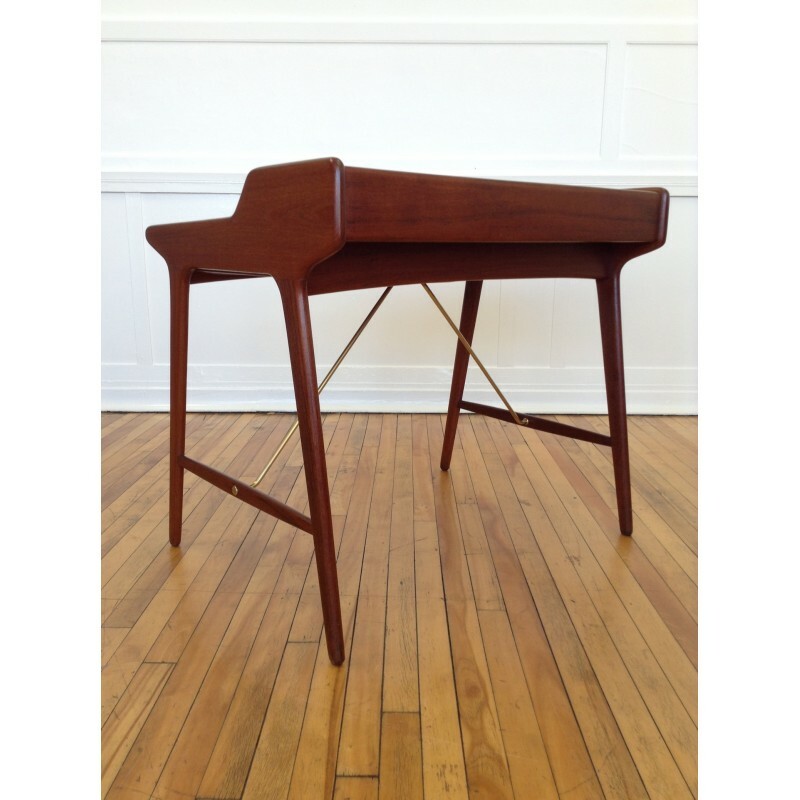 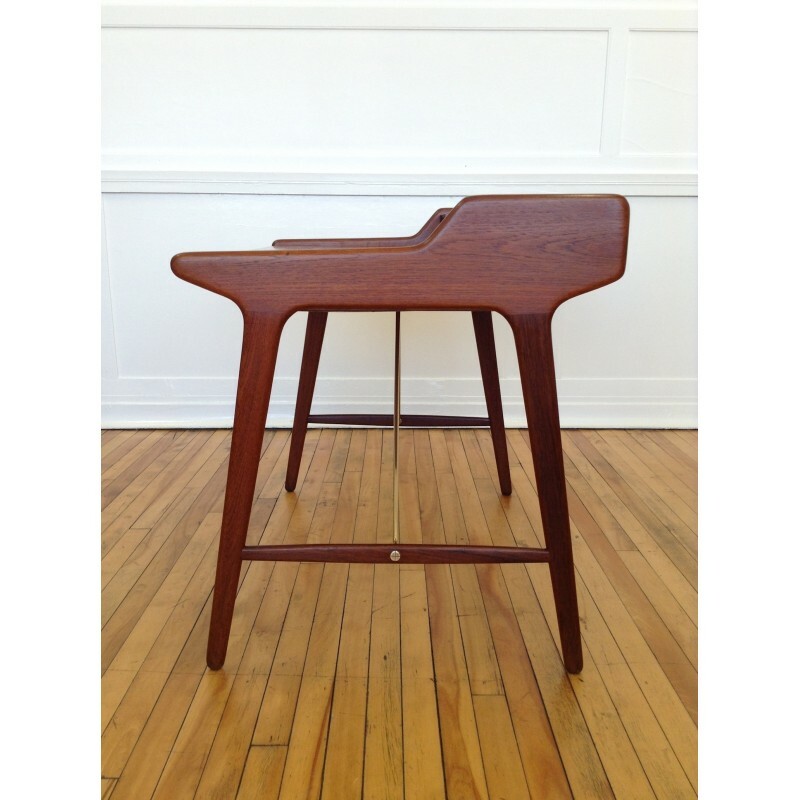 An extremely rare teak and brass writing desk designed by Svend Aage Madsen for KK Furniture, circa 1960's. 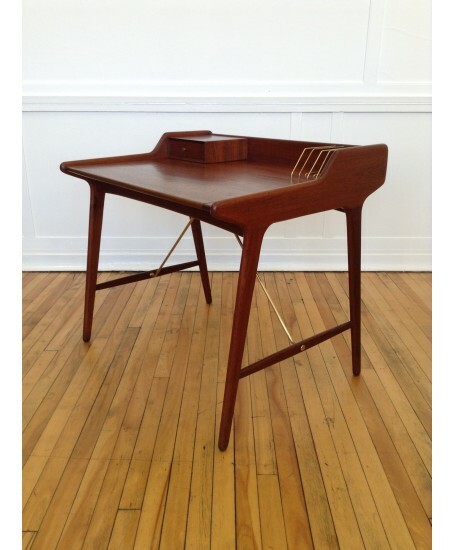 The desk is in very good condition for it's age as can be seen in the photos. 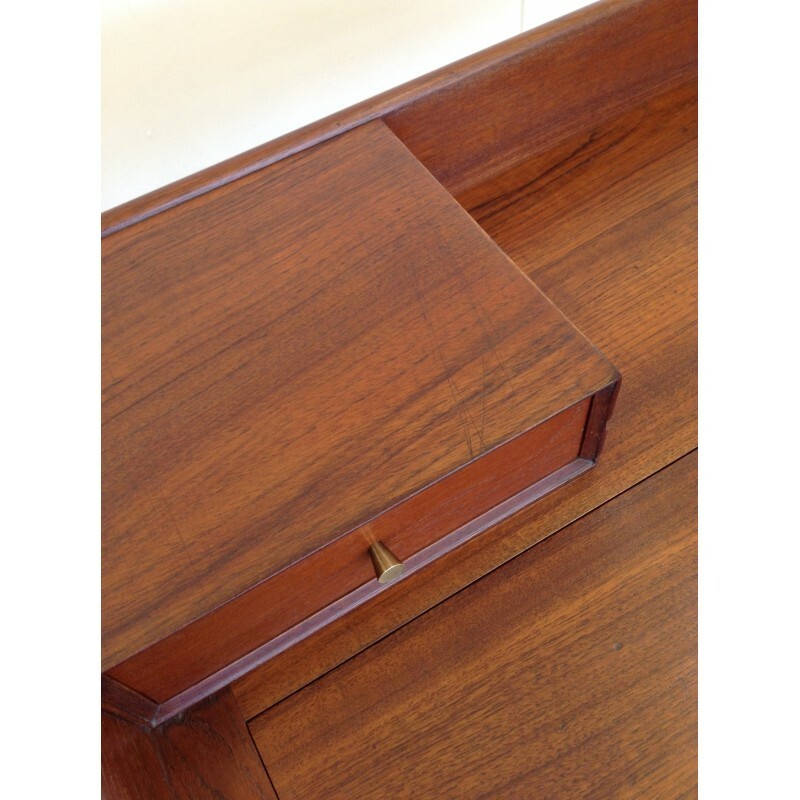 The teak is a lovely colour and has stunning grains. 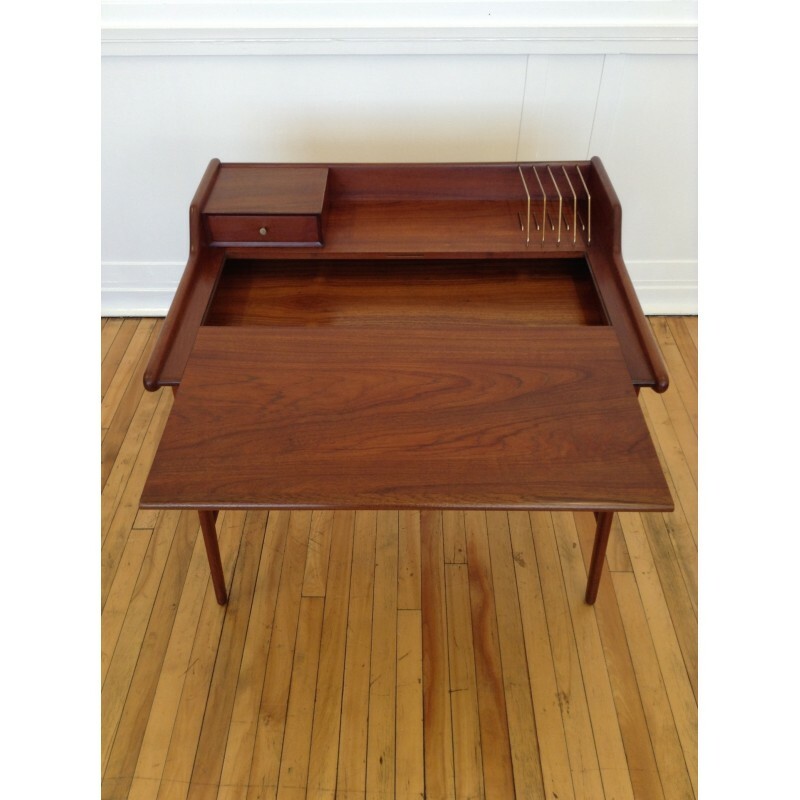 Upon very close inspection, there are some scratches to the top in a couple of places, minor wear to the veneer on the side edge above the pull out drawer, and the brass letter holders are a little loose. 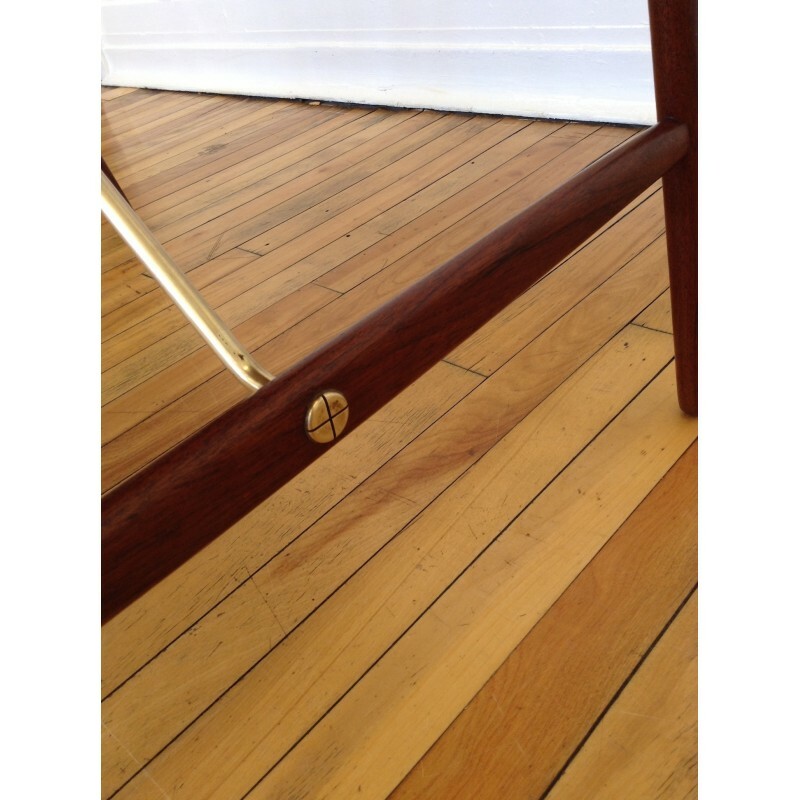 These points are mentioned for complete accuracy only, and in no way detract from this outstanding piece.